Figures are now emerging of the Top Ten international titles that saw the light of day in theatrical venues in the US and Canada in 2010. As one would expect, most of the films share the English language and come from the United Kingdom. 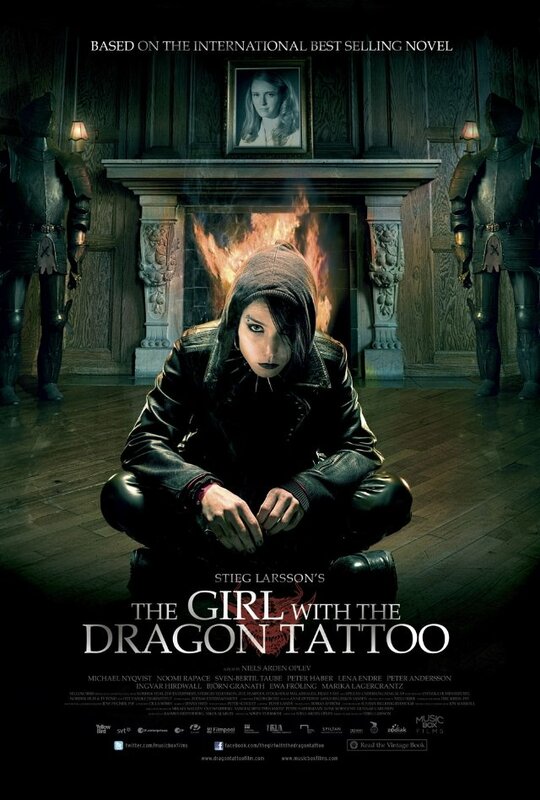 Of the ten films cited in order of their theatrical box office take, three comprise the Swedish-language adaptations of the phenomenally successful Stieg Larsson trlogy. One film with French production origins (BABIES) and one title from Italy (I AM LOVE) made up the list of non-English language titles in this Top Ten. The only other non-English language film was last year's Oscar winner from Argentina, THE SECRET IN THEIR EYES. Two of the top films on the list are still in theatrical release and both are major blockbusters with production roots in the United Kingdom. HARRY POTTER AND THE DEATHLY HOLLOWS still qualifies as an English film, despite its mega-production and release by a major studio conglomerate. Its box office take of $291 million by year's end places it securely in the Number One spot. Following behind with a strong $58 million take at the end of December (but still in wide release) is the royal drama THE KING'S SPEECH, which The Weinstein Company is positioning as a major Oscar contender (having just won the Producers Guild of America top prize this weekend). The Number Three spot is THE GHOST WRITER, Roman Polanski's stylish political thriller, which secured a modest $15 million, despite its uniformly strong reviews and casting of such stars as Ewan McGregor and Pierce Brosnan. The film was a French/German co-production between Polanski's production company, France 2 Cinema and Babelsberg Film Studios. Following on its tail at Number Four is 127 HOURS, the endurance morality tale from Oscar winner Danny Boyle, which fixed $11.3 million by year's end and will presumably get another boost after its lead James Franco is announced as a Best Actor Oscar nominee on Tuesday morning. If the film secures multiple nominations (perhaps for Best Film and Best Director), then its American distributor Fox Searchlight is expected to launch an intensive campaign to bring the film beyond the urban market. Occupying positions 5, 6 and 9 on the list are the Swedish language adaptation of the Stieg Larsson uber-thrillers THE GIRL WITH THE DRAGON TATTOO ($10 million), THE GIRL WHO PLAYED WITH FIRE ($7.8 million) and THE GIRL WHO KICKED THE HORNET'S NEST ($5.5 million). All three films were released in North America by Music Box Films, a tiny distribution boutique company that also released the French crime epic MESSRINE. The success of this triple shot of Swedish films (prior to the eventual release in 2011 of an American version of the films by director David Fincher and starring Daniel Craig) has literally put Music Box on the map and has made it an instant player in the distribution game. Focus Features, the distributor of the documentary film BABIES, perhaps was expecting a bigger impact with the film, which was widely promoted prior to its release last summer. Directed by French documentarian Thomas Balmes and funded by Canal Plus, the film secured $7.3 million during its North American theatrical run, bringing it in at Number Seven on our list. The remaining films, clocking in at Number 8 and Number 10 respectively, were the Argentine drama THE SECRET OF THEIR EYES, which showed a respectable $6.5 million take after being the upset winner of last year's Best Foreign Language Film Oscar, and I AM LOVE, the stylized romantic drama directed by Italy's Luca Guadagnino and starring Tilda Swinton, in a ravishing performance that has inexplicably fallen off the radar in this awards season. Of course, monies taken in is not the same as film quality, but it is rather interesting to note the films that clicked at the box office (even at a substantially modest level compared to most Hollywood titles). The Oscar race for Best Picture got interesting this weekend, as a drag-out fight between quintessentially American and British films is set for the Academy Awards' biggest prize. With THE SOCIAL NETWORK winning top prize at last week's Golden Globe Awards and THE KING'S SPEECH a probable big winner at the BAFTA Awards, the inevitability of the "Facebook film" seems far less assured. This past weekend's upset win for its closest challenger has now made the Oscar race less certain then it was even a few days ago. The Producers Guild of America (PGA) is one of the most reliable guilds when it comes to predicting Oscar success. It is the only one that actually uses the same system to count votes that the Academy does to determine its Best Picture Oscar winner. Therefore, the PGA's choice on Saturday evening of the historical biopic THE KING'S SPEECH has fueled speculation that THE SOCIAL NETWORK's win come Oscar night is not a fait accompli. The royal drama's British producers Iain Canning, Emile Sherman and Gareth Unwin were named winners of the Darryl F. Zanuck Award for Outstanding Producer of Theatrical Motion Pictures. When English actress Helen Mirren opened the envelope at the awards ceremony and delightedly announced the upset win, the entire audience gasped, realizing that this had now added a drama to the awards season that so far has been lacking. 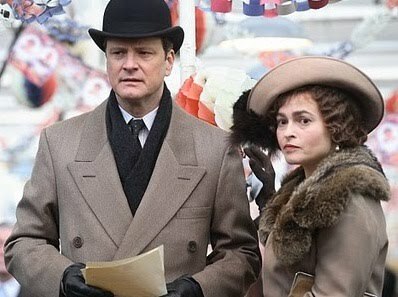 The PGA victory gives a huge boost to the film's American distribution, The Weinstein Company and its Oscar hopes for THE KING'S SPEECH, which came out of the Toronto Film Festival with an Audience Prize and has won awards for its lead actor Colin Firth, but not for the film as a whole. Odds makers take note.....the last three Producers Guild winners (THE HURT LOCKER, SLUMDOG MILLIONAIRE and NO COUNTRY FOR OLD MEN) went on to Oscar gold in the Best Picture competition. In fact, in the 21-year history of the PGA Awards, more than 75% of the films selected by this producers guild were also winners on Oscar night. Will THE KING'S SPEECH continue the trend or will it not be able to sidetrack the overwhelming momentum of THE SOCIAL NETWORK.....stay tuned. Films that feature well known figures from history are always intriguing, whether they reflect actual fact or are mere figments of the director's feverish imagination. In the delightfully dishy MAHLER ON THE COUCH, the filmmaking team of Percy Adlon (pere) and Felix Adlon (fils) have made a delicious historical "did-it-ever-happen" that features such historical characters as the classical composer Gustav Mahler, the psychotherapist Sigmund Freud and the Bauhaus design founder Walter Gropius (with Alma Mahler also figuring strongly in the steamy proceedings). This collision of historical fact and fiction was the official Opening Night attraction of the 20th annual New York Jewish Film Festival, whick kicked off last Wednesday and runs through January 27 in New York. Set in 1910, the plot deals with the composer's tumultuous marital life with his wife Alma and his ambivalent relationship with Sigmund Freud in early 20th century Vienna. Based on actual events, eyewitness accounts and Mahler's journal entries, the film gives a wonderful flavor of the period and a behind-the-scenes look at the drives, neuroses and sexual longings of some of the century's most celebrated individuals. The film's rich score, which features many of the composer's most famous works, is conducted by Los Angeles Philharmonic music director Esa-Pekka Salonen. It had its world premiere at last June's Los Angeles International Film Festival. Percy Adlon, best known for his 1980s arthouse hit BAGHDAD CAFE, once made a movie about Marcel Proust that focused on his maid. Here, he (in collaboration with his son) is up to his old tricks in a delightfully witty, artistically vigorous and occasionally loony fantasia about Vienna's cultural elite of 100 years ago. In the film, the great Austrian composer seeks out the father of psychoanalysis to help with the fallout of the marital betrayal of his wife Alma. She has fallen for Walter Gropius, the architect who eventually will be a founder of the Bauhaus School, which was instrumental in introducing modern architecture around the globe. 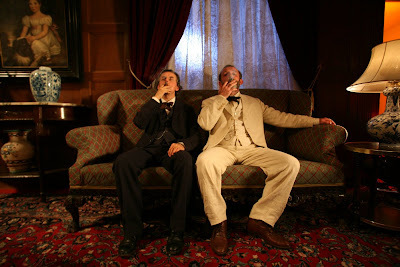 While other luminaries of the period including painters Gustav Klimt, Max Burckhard and Oskar Kokoschka figure in the narrative, the film focuses on the nine-year marriage of Gustav (Johannes Silberschneider) and Alma (Barbara Romaner), a union that seemingly was doomed from day one. Mahler, nearly 20 years her senior, stifles Alma's desire to write music while insisting she act as his muse and assistant. This headstrong woman never was going to play that role for long. In a panic over her alleged dalliances, Mahler tracks down Freud (Karl Markovics) in Holland, wandering strangely deserted streets and canals with the cigar-smoking Freud while ranting about the distressing adultery of his beloved wife. In flashbacks and documentary-like interviews on camera with Alma's mother (Eva Mattes), the film explores the source of Mahler's great joy and sorrow while suggesting that Alma is in every note of music he wrote during the marriage. This is especially true of the last piece he ever composed, the first movement of his unfinished Tenth Symphony, a composition filled with a outbursts of joy, rage and torment. While the prominent men do shine, the film's most thoroughly enjoyable performance is given by Barbara Romaner, a Bavarian stage actress making her film debut in an electric performance. She plays her as a proto-feminist who understands that the new century will bring about a new dynamic in the traditional war of the sexes, one where the wife need not necessarily have more obligations or less fun than her husband. She fully inhabits the role of this complex personality whose passion for love and art collides with her role of wife and mother. Her love affair with Gropius is like a drug whose physical sensations she can't do without, yet her adoration of her husband's genius forces her (temporary) withdrawal. For a full description of all the films and events of this year's 20th edition of the New York Jewish Film Festival, co-presented by the Film Society of Lincoln Center and The Jewish Museum, visit: www.filmlinc.com or www.thejewishmuseum.org/nyjff. As my mother is found of saying....it couldn't hurt!!!! How fortunate are we film-crazy New Yorkers to have such a cinematic treasure as the Film Forum in our midst. The three-screen arthouse complex in the West Village neighborhood of Manhattan has been an indispensable New York institution for over 40 years. As the only remaining independent not-for-profit arthouse theater (in a city that used to be pocketed with them), the Film Forum presents an enviable mix of the classic and the obscure, the heralded and the newly discovered. The length and breadth of the Film Forum's exquisite curatorial sense, as led by Founder and Executive Director Karen Cooper and Director of Repertory Programming Bruce Goldstein, is legendary. And for lovers of European cinema (guilty as charged), both classic and contemporary, the Film Forum is an especially rich resource. Just look at its current program as proof positive of its commitment to European film. Two certifiable classics are currently on view.....the ground-breaking Russian silent film classic BATTLESHIP POTEMKIN (1925) by the never out-of-date montage master Sergei Eisenstein and the luciously romantic and hauntingly metaphysical THE LEOPARD (1962) by Italian master stylist Luchino Visconti. On its third screen is one of the strongest films period of the last year, the Romanian drama IF I WANT TO WHISTLE, I WHISTLE by writer/director Florin Serban. While European cinema is certainly not its only focus (American indies, Latin American and Asian films are also hot commodities on the theater's ambitious slate), the continued focus on European cinema is a great gift. After a long day of business meetings, I treated myself to a late afternoon screening on Friday of THE LEOPARD, being shown in a gloriously restored 35mm film print. Heralded by Martin Scorese as "one of the great visual experiences in cinema". Film Forum has presented this particular classic several times in the past few decades, but never has the sheer sweep of the visuals, the saturated color and the highly textured cinematographer of Guiseppe Rotunno been shown to such great effect as in this gloriously restored version (the work of Scorsese's own The Film Foundation). 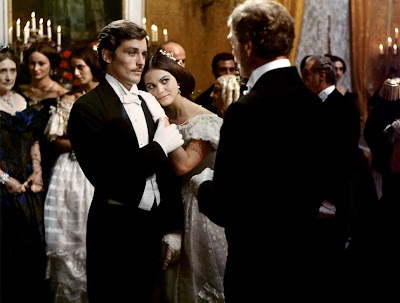 The film, a kind of Italian "War and Peace", revels in both its sweeping action sequences and in its intimate moments of heartbreaking nuance. Burt Lancaster gives a performance for the ages as the Prince of Salina, an aristocrat who must confront a new world order for which he is temperamentally unprepared. The fact that the actor's voice was dubbed into Italian after the fact by someone else (a common practice of the time) makes it even more remarkable. And what can one say about the exquisite beauty of Alain Delon as the Prince's nephew and Claudia Cardinale as the object of both of their affections......have two more beautiful screen gods ever occupied the same frame? This is a film to make the film lover swoon and weep with tears of both joy and regret that the aesthetics of a (non-digital) epic are now part of cinema's past. Equally impressive is the restored presentation of BATTLESHIP POTEMKIN, the 1925 Soviet agit prop film that depicted the 1905 uprising that predated the actual Russian Revolution a decade later. While the film celebrates the 20th anniversary of that pre-revolutionary fervor, it is the film itself that became an incendiary bomb of creativity in a cinema that had become a bit bloated with theatrical pretension. For its master director Sergei Eisenstein, the battle cry was the imaginative use of montage, which brought added resonance to individual images and sequences and also challenged an audience's ability to follow a complicated storyline on many different planes and time frames. The classic sequence on the Odessa Steps, which has inadvertently become a kind of visual cliche, is still a tour de force of technique and emotionalism that still retains its power to shock. You cannot see it often enough, I say. So much of what we now take for granted must have seemed positively galvanizing when the film was released....a film that matched its revolutionary furvor with its own dynamic stylistic imperative. In many ways, this is a film that continues to astonish and embolden both those who create cinematic images and those who absorb them. While it is not quite as revolutionary in its technique, the contemporary Romanian drama IF I WANT TO WHISTLE, I WHISTLE, Romania’s official entry into this year’s Oscar competition for Best Foreign Language Film, features a star-making performance by its charismatic and haunted lead George Pistereanu, who was nominated for a European Film Award as Best Actor for his debut performance. He stas as an 18-year-old about to be released from a prison for juvenile delinquents, who stages a hostage drama in order to save his beloved younger brother from the clutches of his good-for-nothing mother. The hulking thug, an imposing presence, reveals shades of desperation and unexpected tenderness as he develops a relationship with the young female hostage that he uses as a shield to press for his escape. Writer/director Florian Serban, making an astonishing debut, has cast many non-professionals as the young man's fellow prisoners, giving the film an immediacy and authenticity that both echoes and supercedes the classic prison dramas of the Warner Brothers studios, where Cagney, Raft, Robinson and Bogart played the hard-boiled lifers. Serban knows how to push the genre's buttons and to accentuate the pulp in his story, but he also brings out a layer of psychological confusion, familial tension and emotional vulnerability that makes this an affecting and heartrending personal story. It is a shame that a film of such power is not being given a fuller distribution push (the distributor, Film Movement, saves its biggest bang for the dvd market) but those interested in the continued flowering of the Romanian New Wave have a few days left to savor this compelling and uncompromising characer study. In the weeks ahead, the Film Forum continues its embrace of contemporary European cinema with the presentations of such celebrated titles from the international film festival circuit as INTO ETERNITY, Danish director Michael Madsen's documentary on the follies of containment of nuclear waste; LE QUATTRO VOLTE, Italan director Michaelangelo Frammartino's visual tour de force that unravels four different stories set in an idyllic village in Italy's mountainous region of Calabria; and THE ARBOR, a riveting portrait of doomed UK playwright Andrea Dunbar who drew on her own hardscrabble life to create theatrical and screenplays that mine the discontent of Britain's working classes. Written and directed by Clio Barnard, the film has been an international film festival circuit hit and is an illuminating study of how pain can inform passion. 1. THE SOCIAL NETWORK. It may have boasted a few too many Hollywood contrivances but no other film of the past year so accurately captured the dual embrace of new technology and the loneliness that all that connectnedness can bring. A smart script by Aaron Sorkin, a devious directorial plan by David Fincher and the exquisitely squirmy acting stylings of Jesse Eisenberg and Justin Timberlake as overachievers with little or no moral grounding made this not only a guilty pleasure but also a significant zeitgeist moment. Where will all this "social networking" lead us.....to a new enlightenment or to a dark hole of loneliness and despair is the film's overwhelming question. In years to come, analysts many understand their own culture by what they uncover here. With the real life Mark Zuckerberg being dubbed as Time Magazine's "Man of the Year", this is, simply and definitively, the movie of the year. 2. CARLOS. Many times international co-productions are mainly about financial couplings but in the case of this globetrotting thriller of 1970s terrorism, the jumble of languages, cultures and geographic locations is truly stunning.....a reminder of how much our planet has shrunk. Edgar Ramirez gives the year's most riveting performance as a committed idealogue who does not hesitate to grab what he wants for the causes he defends. The director Olivier Assayas takes his audiences on an international tour of the underbelly of institutional and governmental authority, while commenting on the callous nature of those who commit their violent crimes in the name of the people. The film is a primer to investigate the explosion of violence in our own times and our hallowed institutions' helplessness in satisfying the needs of individuals and nations in equal measure. 3. MOTHER AND CHILD. The multi-layered, multi-character drama that peaked when the film CRASH was an upset Oscar victor a few years ago finds a true resonance and raison d'etre in this stunningly sensitive and damnedly painful film. Annette Bening, who may very well finally win the Oscar for her bitter pill of a performance in the infinitely more breezy THE KIDS ARE ALL RIGHT, should be recognized for her stunning work in this film as a mother who still agonizes over her decision to give up her child for adoption. Paralleling the malaise of the central performance is a corporate go-getter with her own well of pain in another great turn by the perpetually underrated Naomi Watts. This is sensitive indie filmmaking of the highest order. Unfortunately, this profound and moving film on the theme of mothers and daughters could not find a large audience and will therefore most probably not be recognized during this highfallutin' awards season. But this is a film that I predict will grow in stature in future years as a beautiful example of screen acting and the power of cinema to create emotional echoes that move and touch us to the core. 5. PLEASE GIVE. Add to the great director/actor teams the on-going relationship between director Nicole Holofcener and her alter ego, the actress Catherine Keener. This hilarious yet rather hateful film about greed and indifference in an age of affluence perfectly captures a particular kind of Manhattan dual-edged sword sensibility that is both liberal in its leanings and conservative in its action. As the couple who waits for an elderly neighbor to die so that they can break through the wall to engorge the empty apartment, Keener and Oliver Platt mine the depths of urban neuroses, consumerist longing and liberal guilt in the funniest and most acerbic pairing of the year. If you want to know what New York life, in all its complexity and absurdity, was like in 2010, look no further than here. 6. CAIRO TIME. Wistfulness is a difficult emotion to portray but this sensitive and perceptive film finds a visual expression of that longing in the face of one of our most emotive actresses, the brilliant and brittle Patricia Clarkson. As a diplomat's wife who visits the exotic city of Cairo while she waits for her United Nations husband to join her, Clarkson gives a from-the-inside-out performance that is akin to silent screen acting. Her alabaster face is both rigid and expressive, and the mere arch of her eyebrow or the pouting of her lower lip describes more than a page of dialogue ever could. Alexander Siddig matches her intensity as a local man who takes her under his wing, expressing both an attraction and a disdain for the Westerner in his midst. This is a film of a kind of moral courage that is rare and to be coveted for its near-silent expressiveness. I hope more people find this beautiful gem of a movie. 7. JOAN RIVERS: A PIECE OF WORK. OK, I will confess, I have been a devoted Joan Rivers fan for as long as I can remember. From her early self-depricating humor to her current tendency to deflate our moral and political pretensions, the comedienne is a true envelope-pusher and comedic icon. However, in this not-always-flattering portrait, the inner restlessness and emotional chaos that fuels the comedic talent is revealed in astonishing and disturbing fashion. It is perhaps a cliche to say that comedy is the outward expression of pain, but this is evidenced again and again as Rivers struggles to keep relevant as time relentlessly marches on and newer faces come to the fore. Not at all a puff piece, this may be the most confessional and accurate portrait of the dark side of show business that has ever been captured on film. The fact that this celebrated documentary has not made the final cut for the Best Documentary Oscar is one of the scandals of the film season. 8. I AM LOVE. This ravishing film, which seems to have been forgotten in the current awards season despite its great critical and box office success this summer, is a reminder of the lush dreamworld that cinema alone can create. Tilda Swinton, in a remarkably transformative performance, is both alluring and despairing as the matriarch of an aristocratic Milanese family whose neglect by her husband and children lead her to an illicit amour fou. Drawing on the best traditions of such filmmakers as Luchino Visconti and Bernardo Bertolucci, the film is a sumptuous feast for the eyes and ears, with a delicacy and delibirateness to it that made for a swooning experience of a night at the movies. Why this film is being forgotten so quickly is a true mystery, but perhaps its exotic nature and its obvious connection to classic European cinema has been more hindrance than help. 9. A PROPHET. As a longtime lover of prison melodramas, this hard-boiled tale of an Arab man who must become a hardboiled murderer in a French prison was exactly my cup of mint tea. Tahar Rahim as the youth who grows up in a hurry and Niels Arestrup as the Mafioso kingpin who demands complete loyalty are astonishing in their portrayals.....a nod to the celebrated gangsters of the Warner Brothers films of the 1930s and amazingly original in their own brutal identities. This is a film that veers from formula and sensationalism (although the violence quotient is certainly visceral) and comments on the social order both inside and outside the brutal prison system. Life is a jungle, both behind and outside the bars, and the only integrity left to someone is their own moral courage. 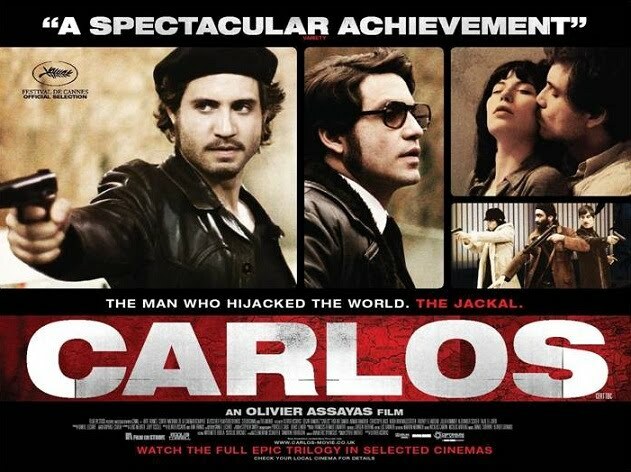 This film is literally a stunner and proclaims a promising career for its French writer/director Jacques Audiard. While this film opened in Europe last year, it only came to these shores in 2010, and certainly qualifies as one of the most satisfying and terrifying cinema showcases of the year. If I was to expand the list to 20 titles, the following would have made the cut: INCEPTION, THE KIDS ARE ALL RIGHT, THE FIGHTER, THE TOWN, THE GHOST WRITER, LEBANON, ANIMAL KINGDOM, BLUE VALENTINE, BLACK SWAN, 127 HOURS, VINCERE, INSIDE JOB, THE KING'S SPEECH and JEAN-MICHEL BASQUIAT: THE RADIANT CHILD. Truth be told, I have yet to see TRUE GRIT, WHITE MATERIAL, ANOTHER YEAR and THE TEMPEST, but I stand by my choices. What do you think??? ?